Our full guide to the charms of taking trains, including how best to buy tickets and what to pack; photo copyright Charley Aimée. We’ve been travelling all around Europe by train for two decades now, and we’ve got more than a few dos and don’ts to have a cheap, comfortable, and lovely time rolling across the continent. We’ll go through how to best book train tickets from outside (or inside) Europe, what to take on board, and how best to enjoy it all. How Do I Book European Train Tickets? 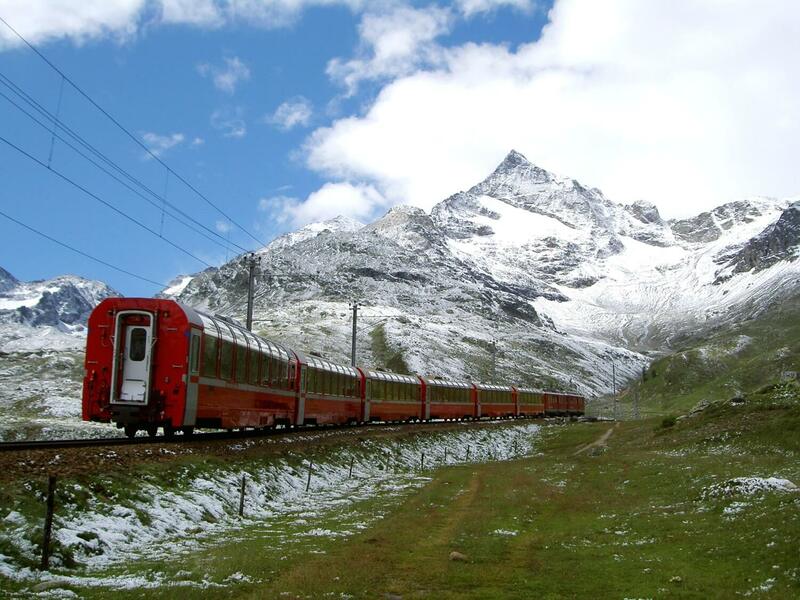 Are European Rail Passes Worth It? 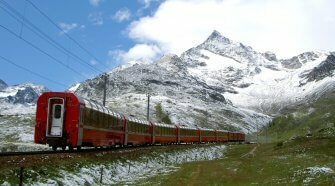 How Do I Get the Cheapest Train Tickets for Europe? Should You Book Your Hotel/Hostel/Apartment Near Train Stations? This article was published on May 28, 2018. The most convenient way to book train tickets in Europe is Trainline, and for most countries it costs exactly the same as what the official websites charge. It can even, in certain cross-border trips, be cheaper. We’ve thoroughly analyzed the various booking portals, and to date Trainline remains both the cheapest and — this is key — most hassle-free way to book European train tickets. It charges the same in almost all countries as you would pay when booking directly with the national train companies. For complex and international trips, its clever routing engine often finds us even find better and cheaper routes than the official channels. There are a few exceptions to this; for example, if you are travelling in France and you have flexible dates, the OUI.sncf website sometimes shows you which dates are cheapest, although if you are outside of France and/or do not have a French credit card, that SNCF site can give you all sorts of problems, including re-routing you to make your purchase on more expensive sites for foreigners. Also, if you’re travelling between countries in Eastern Europe, you’re often still better off just purchasing at the last minute in the train station directly (or in the case of truly terrible train systems like in Serbia, a bus ticket). We mainly prefer Trainline over national train operator websites because, on top of the smarter routing, it has a smoother and more functional website with comprehensible English that is built to accept non-European credit card numbers and addresses. There are a few other so-so to good portals that we are watching (RailEurope, Loco2, Omio.com) but they tack on extra fees and have less complete coverage. Trainline is also better at ensuring that you get any age-related (senior, youth) discounts. How you receive your purchased European train tickets depends on the route and the country, but Trainline walks you through it. Often you display them on your phone, sometimes you print a ticket, and in a few cases they are mailed to you. Trainline also makes it easy to buy tickets on the go, as you roll. This is generalizing, but no, nowadays they’re not. 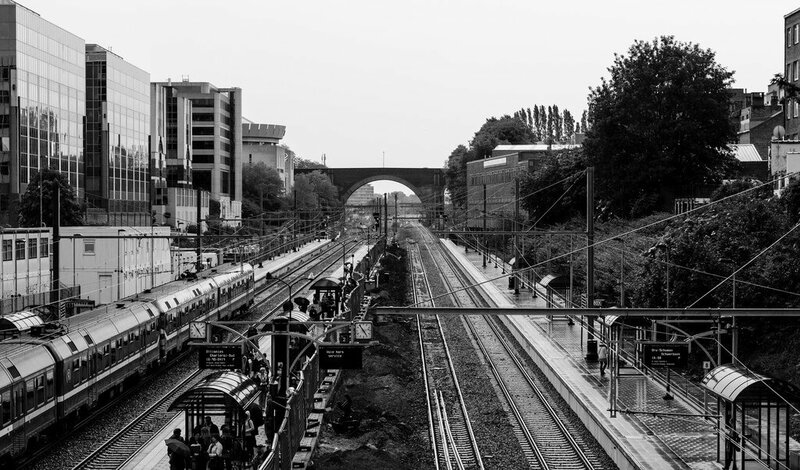 You usually have to be taking a train to a new place at least every other day for European train passes to even potentially work out in your favor versus purchasing individual tickets. So if you really are planning on spending lots of time in transit and little time actually visiting and getting to know delightful European locales, you might get a European rail pass. But we really don’t recommend this type of European travel; whirlwind cross-continent train tours are exhausting, superficial, and almost always fraught with more problems since schedules are tight. You won’t do much more than get some photos of yourself in front of monuments. Which pass should you get? If you live outside of Europe, you must buy a Eurail pass. If you live in Europe, you buy the InterRail Pass. Make sure you are looking at the right one when running your comparisons. Have you considered single-country passes? If you will take a lot of trains within a specific country, check for specific country passes. Already know your route? If you’re booking well in advance and know your route, point-to-point tickets will likely come out cheaper in the end, even for whirlwind European tours. Booking 2-3 months ahead is a bit cheaper in general. Like to improvise? It used to be that rail passes were best for improvising, but you can now easily buy train tickets online at the moment via Trainline Europe as discussed in the previous section. While the prices on the go often aren’t as good as booking ahead (especially for longer routes), you should consider that with a rail pass reservations ahead of time are necessary anyway for popular routes. What about planes? Buying point-to-point train tickets also lets you mix transport options; budget airlines can be useful for crossing longer distances cheaply (though they’re less environmentally friendly and hardly as comfortable as trains). Considered tack-on fees for passes? Reservation fees get tacked on to rail pass costs, especially for popular international routes and fast trains. Sometimes these are substantial. A mix of a pass plus point-to-point tickets? For some people, it’s worthwhile to buy a train pass for only the most intense part of your trip, and individual tickets for the slower-travel portion where you plan to stay longer and enjoy places. What’s easiest? Generally purchasing point-to-point tickets via Trainline is much easier than dealing with the complex rules and exceptions of the European train pass systems. 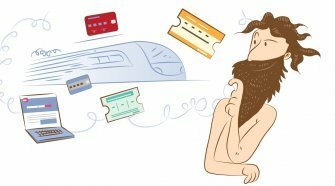 The most difficult option is trying to buy tickets from each country’s national ticketing system and had necessitated a lengthy guide to each of them. Booking in advance isn’t necessary but can get you the cheapest possible tickets. For most countries, tickets are made available for purchase about 90 days in advance. As discussed above, each national train company’s website offers lower prices than travel agents or website portals. The exception is Trainline, which matches those official prices but on a much smoother website, and even offers lower prices for certain complex international train routes. If you want to travel even more cheaply than by train (especially when buying at the very last minute), you can also cross Europe by bus. It’s generally slower and definitely not as comfortable, but very affordable. 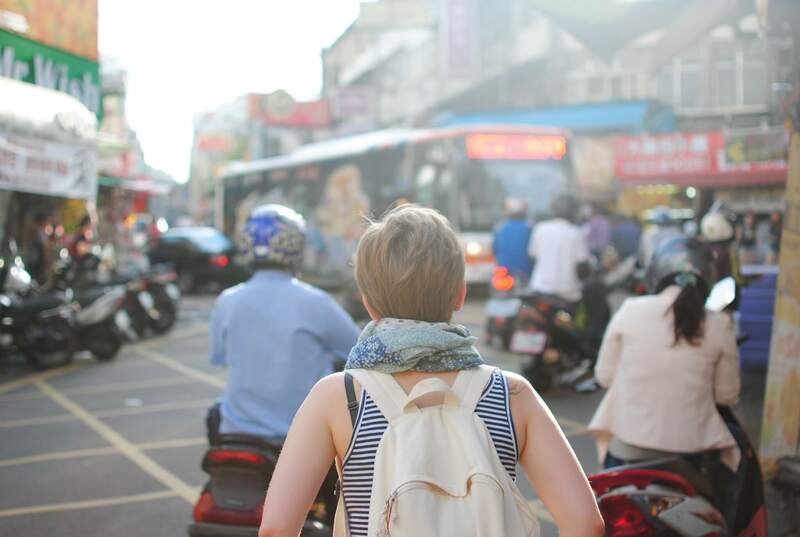 A great way to search all of the super-cheap pan-European bus and ride-sharing options at the same time is Omio. It’s not as good as Trainline for train tickets, however, as its routing options are much more limited. Air travel does a nightmare on your carbon footprint, but there are plenty of budget airlines criss-crossing the continent quite cheaply. When calculating costs and times versus trains, take into account the sometimes heavy financial and time costs of getting to and from the airports, waiting in lines, security, etc. 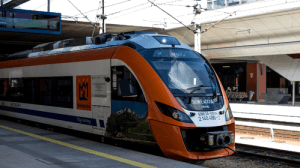 In general, a one-hour flight has enough of these built in to make a five-hour high speed train connection from city center to city center advantageous in terms of time and hassle. But if you’re going further, skipping from say Lisbon to Naples, it’s worth flying. Non-Europeans tend to pack way too much when traveling the European rails. It’s true that nobody on trains weighs your bags or forces you to stuff them into size-testers like at airports, but that doesn’t mean you should pack a lot. 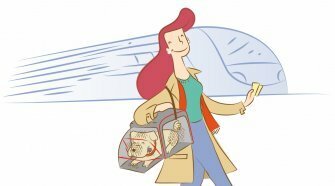 Your travel will be much more pleasant if you have less to lug around and worry about. We highly recommend combo backpacks/wheeled luggage for Europe travel. Most of the time you will want to roll through your trip, but comfortable backpack straps are great for when you want to stay in the gothic center of a European city, like Barcelona. The most experienced travellers know how to pare down to the essentials and travel light. For them, we recommend a carry-on-sized wheeled backpack, particularly the Osprey Ozone 22″. It’s what I personally use, and this bag has held up incredibly well over the years. It has smart features like the detachable daypack and useful pockets, making it my go-to travel piece. It’s limited to a 50L capacity, however, which I admit is too little space for most peoples’ weeks- or months-long European train ventures. For those who pack just a bit heavier, we feel the top large wheeled travel backpack is its big sister, the Osprey Meridian 28″/75L. It has the same features including the daypack, but is roomier. Those travelling extensively in Eastern Europe, which can have less wheel-friendly sidewalks, or in rural areas should not get the Osprey Meridian 28″/75L, however, as the new model does not have a hip strap (which helps for carrying on one’s back for longer periods). They would be better served with either of the other large wheeled Osprey backpacks we review here. An advantage of travelling light in many European cities is that you can hop onto the city bike-sharing program’s bikes that are generally in front of the train station, and for just a euro or two bike to your final destination. I’ve very much enjoyed doing this in a number of French cities. And at many train stations (in Amsterdam, for instance) it is also possible to rent bikes for the full length of your stay. To do this you really must have a pack with straps, as mentioned above, and it helps if it’s not too big. European city bike-sharing systems are intended for transport, not for joy-riding, and so are generally priced very cheaply for the first half hour or hour, but with a sharp increase in rates that makes it infeasible to use them for longer periods. But they’re great for simply getting from the train station to your hotel, hostel, or apartment. And you often pay for a day or week pass that allows you to continue to use the bikes for 30 minute periods throughout your stay to get around. Simply leave the bike locked into any bike station when you’ve finished your ride. It’s wise to download an app for each city’s bike program beforehand showing where the stations are, but generally they’re pretty ubiquitous. 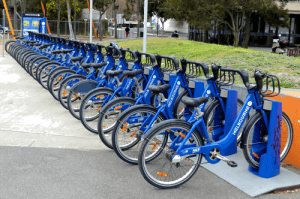 Note that some cities (Barcelona comes to mind) do not allow tourists to use their city bike-share systems and to enforce this require residents to go through a sign-up process by mail. Yes. While there are some headline-grabbing train accidents each year, your chances of being hurt on on your train trips in Europe are exceedingly small. Europe has exceedingly low rates of fatalities (0.10 per billion passenger-kilometers) and 92% of injuries are of people outside of the train (suicides, graffiti artists horsing around in the train yard for example). It is far more dangerous to travel by car or bus. One does have to take reasonable precautions to keep valuables always in sight and at hand, especially at train stations. But the odds of you as an individual encountering pickpocketing, theft, or serious problems are low. It definitely depends on the city, but the areas immediately next to many European city’s train stations tend to contain a lot of dodgy but overpriced lodging, poor food, and not much of interest. So unless you’re just staying for a night to sleep and then moving on, you’ll likely be happier doing some research (Frommer’s has good neighborhood descriptions of European cities) and staying in a neighborhood that contains things of interest for you. This is another argument for staying in each city for at least a few days when on a European train tour. Italki is our pick for making sure your language skills are up to the task before (and during) your trip. English is likely to be spoken to varying degrees by train and station staff in most countries, but your experience will always be more fun if you at least attempt to pick up some of the pleasantries, toasts, and jokes of the lands that you pass through. I use italki to train in languages via Skype lessons both before travelling and while on the road; it’s possible to find people teaching even Europe’s most recherché languages like Neapolitan. Speaking a bit of the more out-of-the-way languages goes a long way to making your train trip more fun and making fast friends of your fellow passengers. European train travel is by far my favorite transport experience anywhere and anyhow in the world. There are gorgeous towns, mountains, cities and beaches; the rides are smooth and the people are varied and amusing. Congrats on choosing this part of the world and manner of getting around it — you won’t be disappointed.